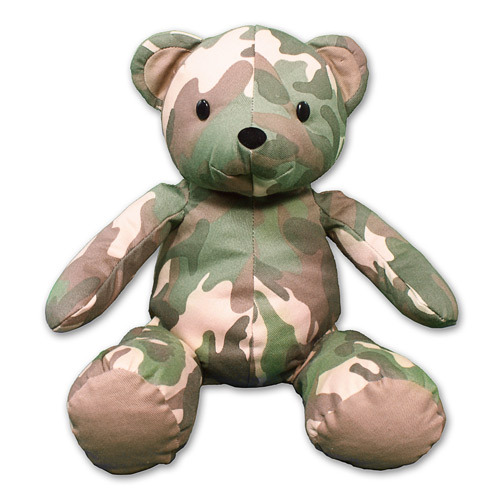 Wish someone special a happy birthday with this handsome Plush Military Birthday Teddy Bear. 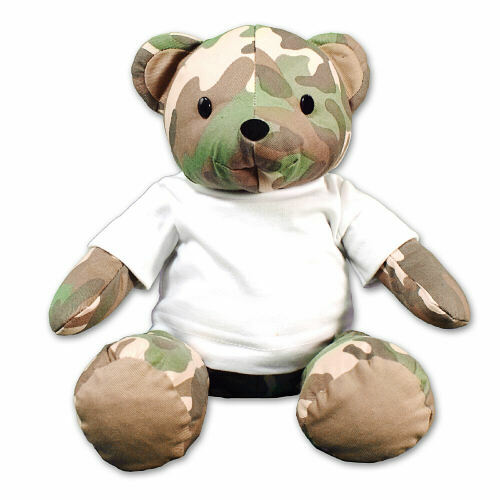 Sure to make anyone’s birthday a blast with its great look, this Camo Bear becomes a wonderful keepsake that is cherished well after a birthday is over. This birthday design is featured on our “My Hero Wears Camo” Teddy Bear. Measuring 12” tall and includes free personalization of any design and custom message. Free gift wrapping and a free gift message are included to create a thoughtful presentation. Additional Details 800Bear.com is your home for all your Plush Birthday Teddy Bear & Stuffed Animal Gift Ideas.